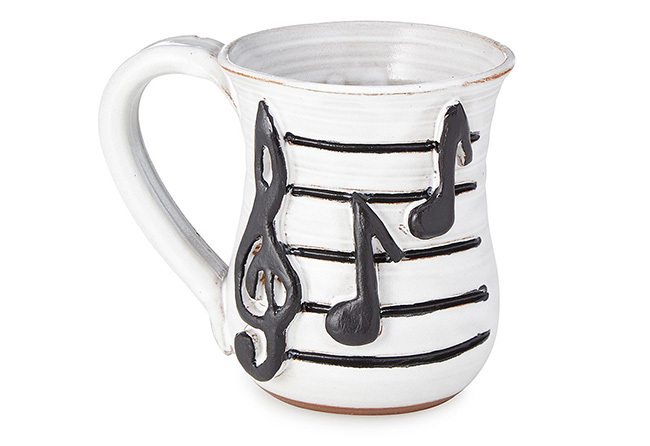 This handmade mug is a great way to remind your dad that you’ll always sing his praises. Maybe he makes his own beer or maybe the “brewery tour” stars and ends at the beer fridge in the garage. 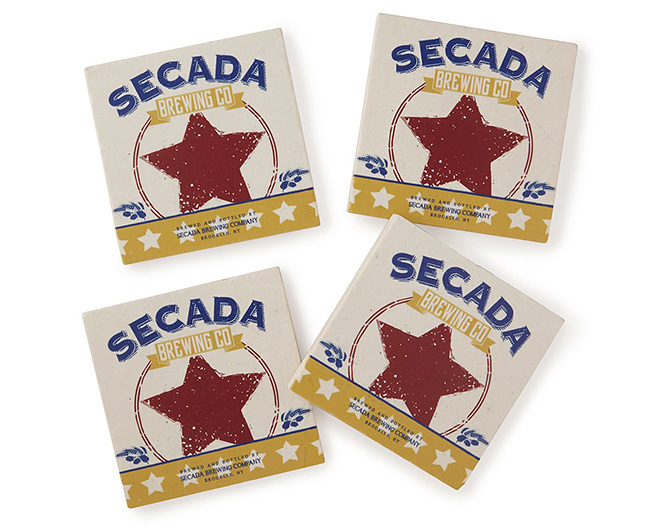 Either way, we think he’ll get a kick out of these personalized coasters. When you were a kid, Dad was always telling you not to make a mess. 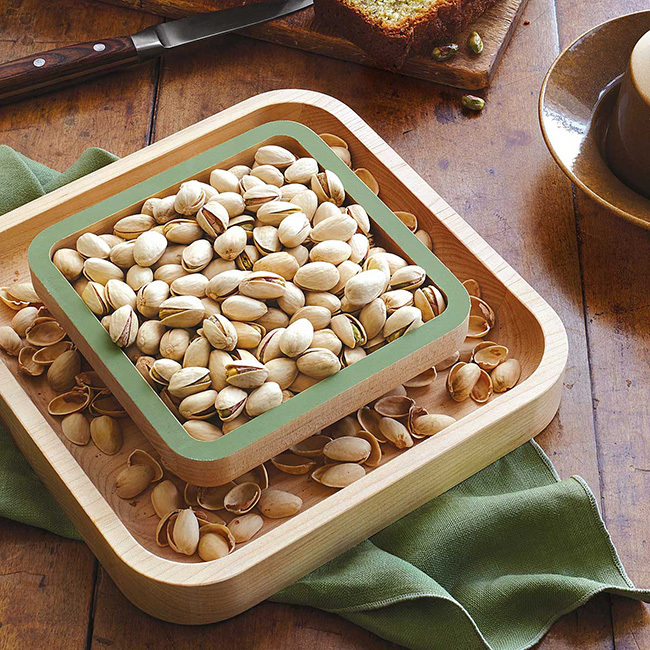 Thanks to the clever tray beneath the Pistachio Pedestal’s elevated dish, you can help Dad follow his own advice. 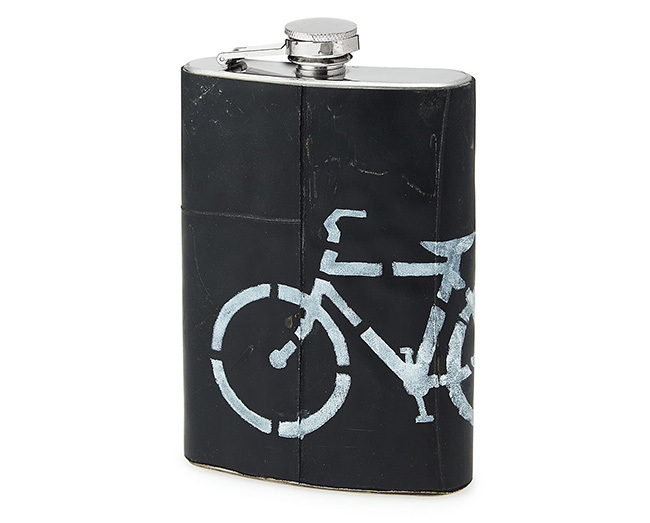 Sometimes flasks get tossed aside because of minor imperfections like typos in the etching. 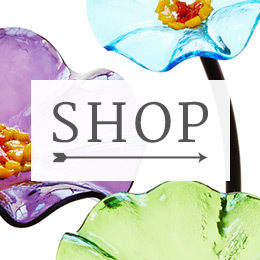 Martha Bennington and Steve Connell take those typo-ed pieces, beautify them with recycled bicycle tire rubber, and create a handy design Dad will love. 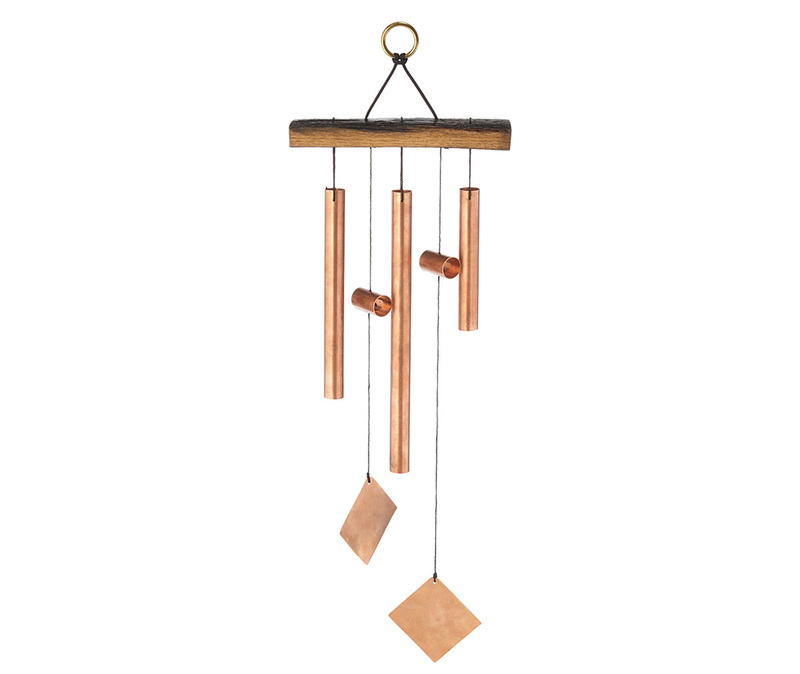 The copper chimes dangling from this lovely sounding bit of decor don’t exactly have fatherly role models, but they do get something cool to look up to: The hanger on this piece is made from a real oak bourbon barrel. 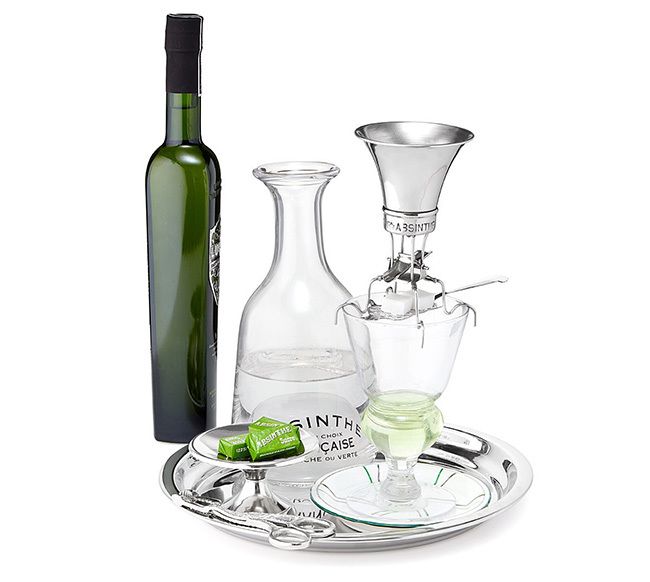 Even if Dad doesn’t have room for a traditional end table, you can still give him a place to rest his glass, remote, and snacks. 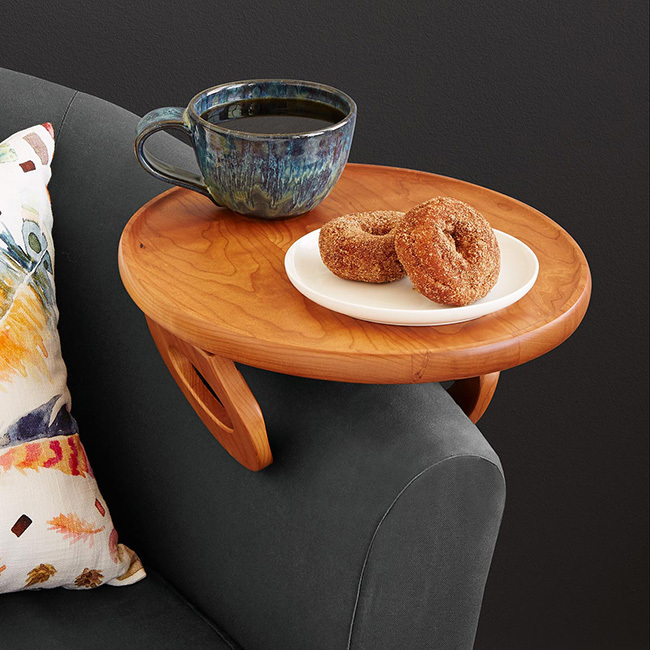 This solid cherry table will grip his sofa’s arm to create a storage place without taking up a lot of space. Tracking in mud was never his style. 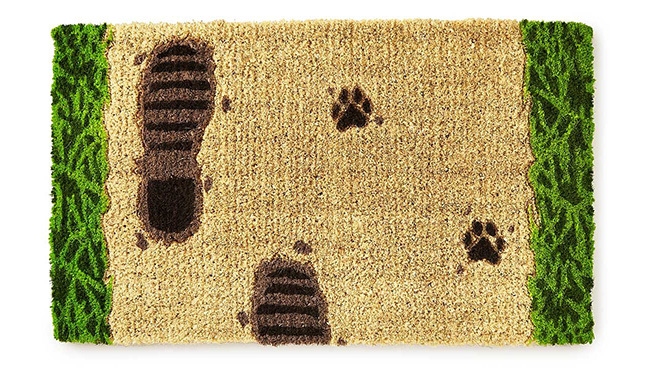 This mat lets him leave the dirt at the door. 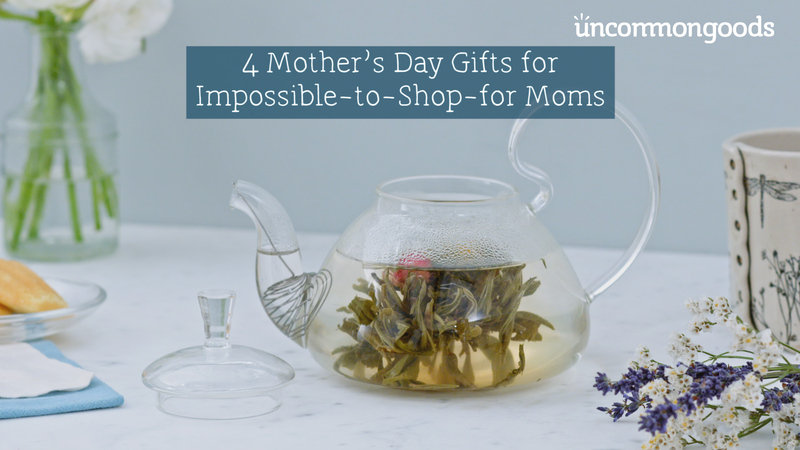 Featuring illustrations by Sandra Dumais and poems by Martin Geller (the dad of one of our team members here at UncommonGoods! ), these plush pillows show your papa you’re thinking about him, even when you’re not in the same state. 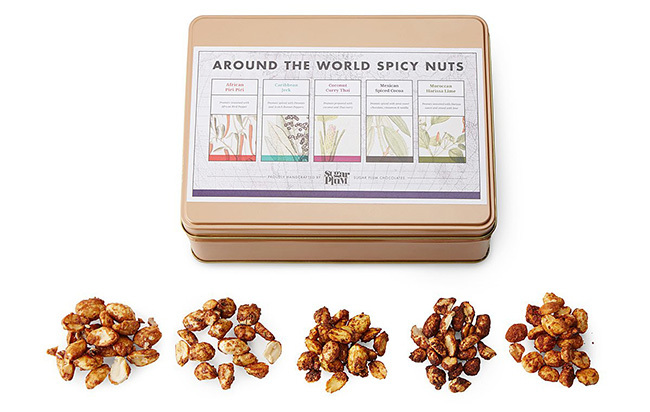 Filled with five flavors (Caribbean jerk, coconut curry Thai, Mexican spiced cocoa, Moroccan harissa lime, and African piri piri), your pops will go nuts for this snack set. How much do you want to bet he’ll make that very good joke that we just put out there? 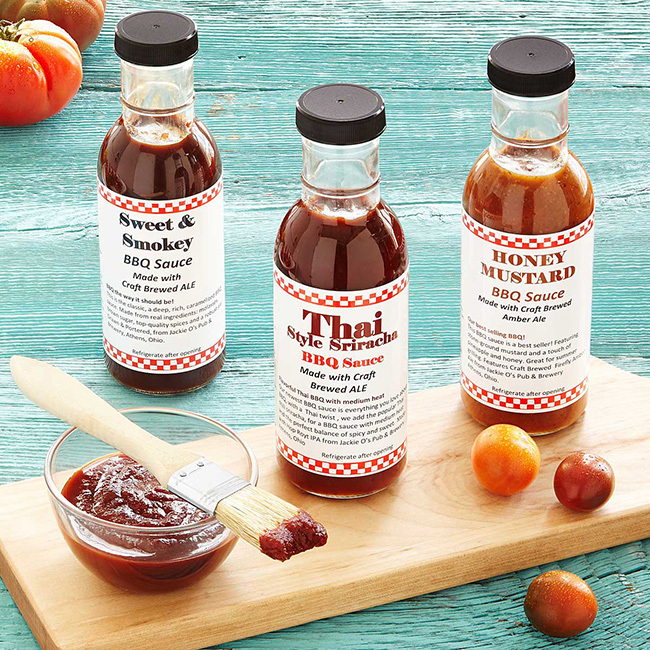 If the only thing that stops your grillmaster dad from throwing another kabob on the BBQ is a break to grab a cold one, he’ll be thrilled with this set of three tasty sauces. 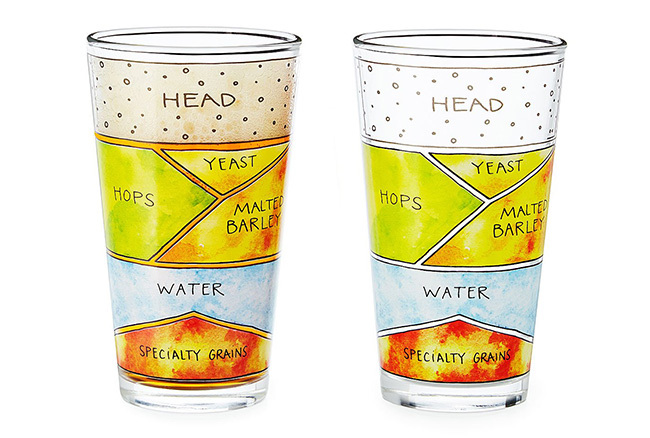 Each is infused with a different beer: amber, IPA, and porter. 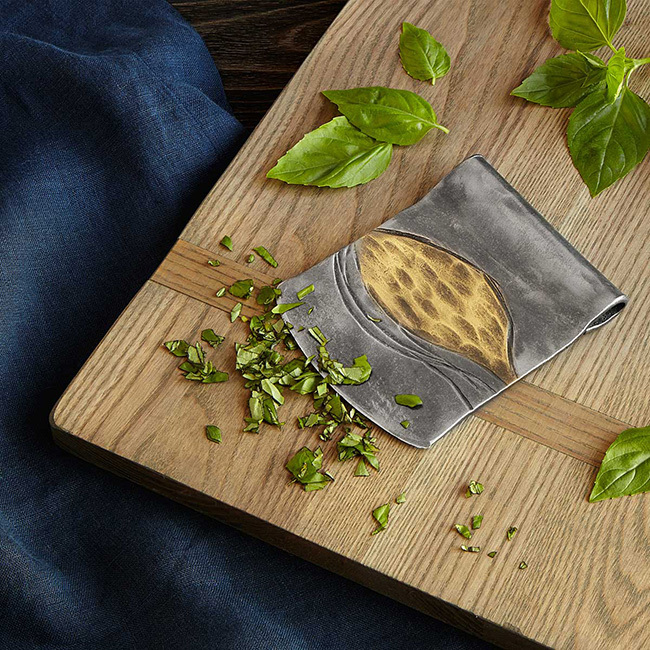 This hand-forged knife features a beveled blade, an easy-grip handle, and a handy steel stand. 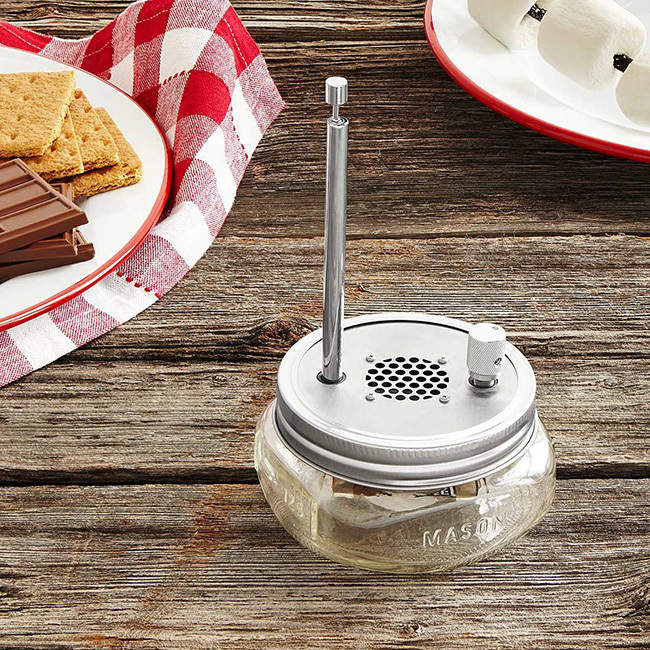 It’s not flashy or high-tech, but it just might become Dad’s new favorite kitchen gadget. 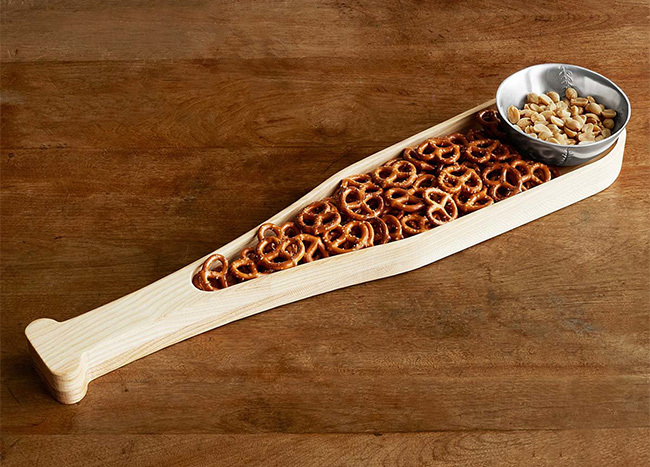 If your dad knows his way around the kitchen, he knows that kitchen tools don’t just take care of themselves. 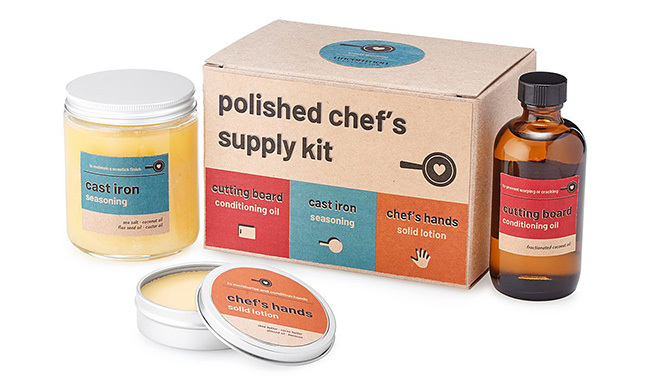 This supply kit comes with coconut oil to keep cutting boards smooth and crack-free, seasoning for cast iron pans, and lotion for his most important kitchen tool: his hands. 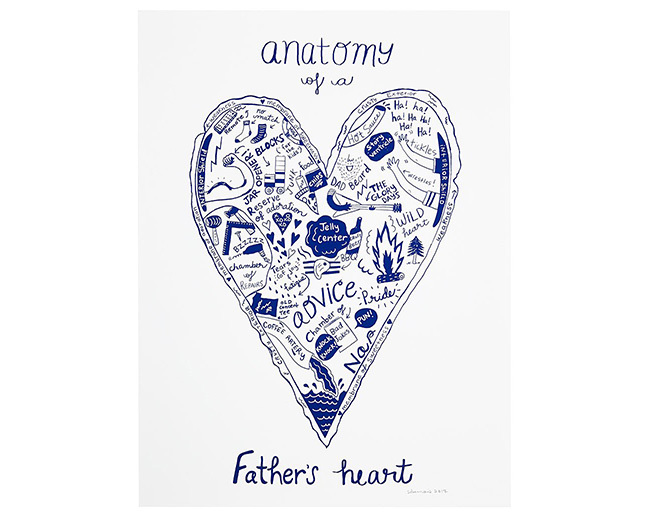 Your pop’s heart is full of love… and a bunch of other stuff. 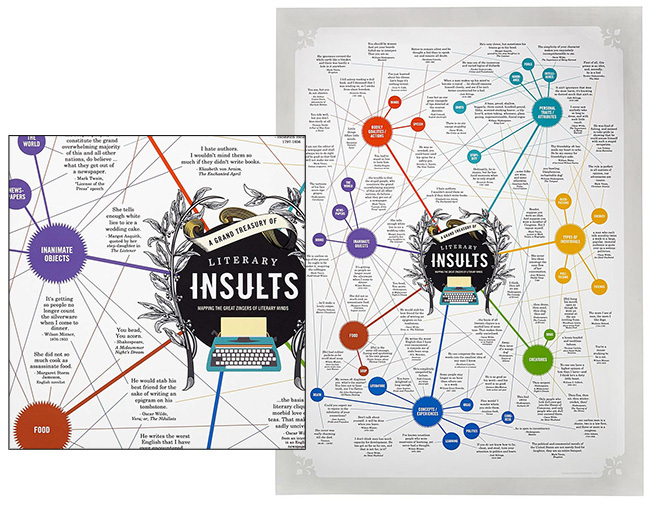 This print helps you show him you appreciate everything that’s in there. 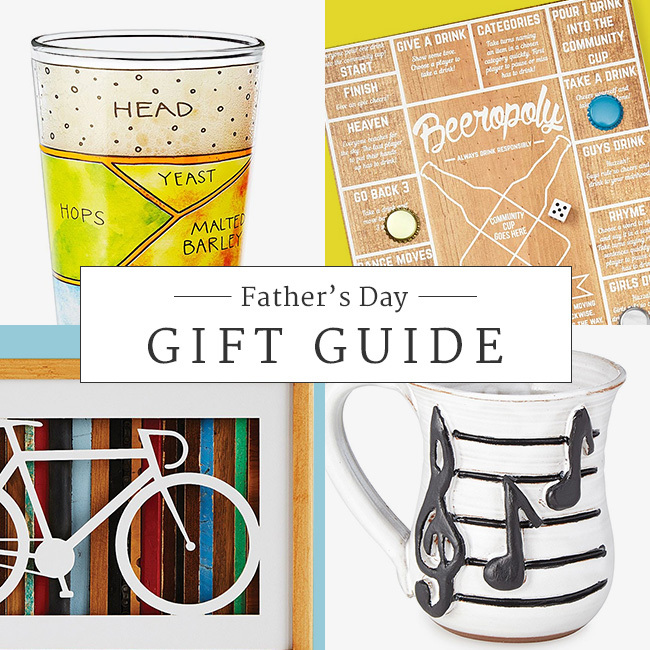 Father’s Day is about celebrating everything that makes Dad great. 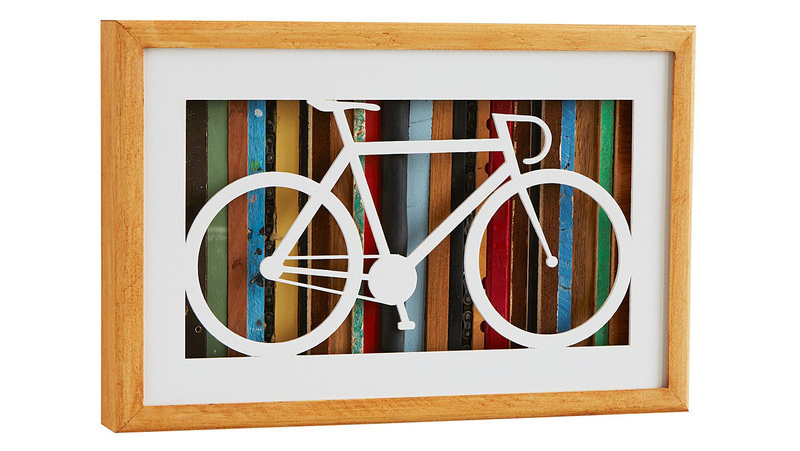 If his passion for cycling is one of those things, he’ll celebrate this art by Marco Facciola and Stephen Washer. 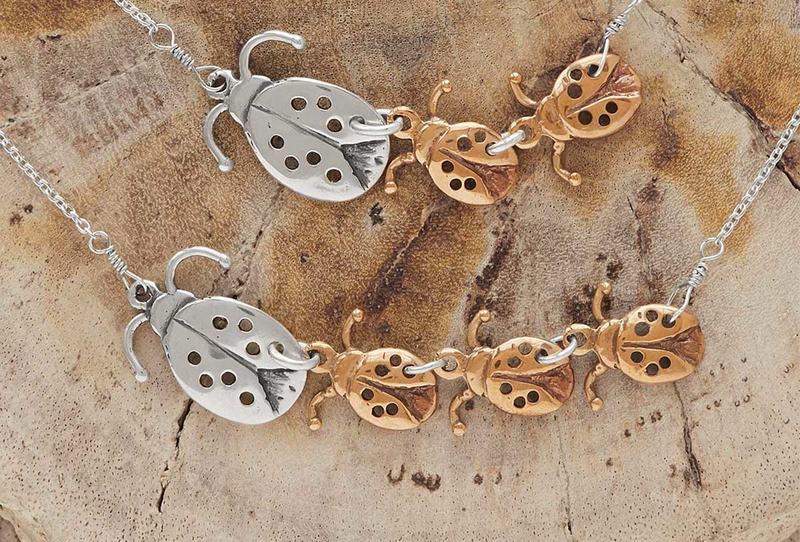 It’s even made from salvaged wood and reclaimed bike chains and inner tubes. 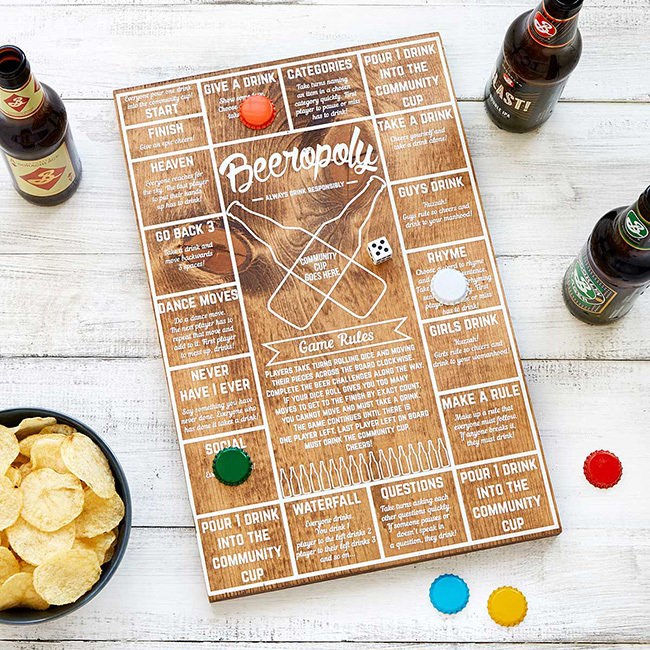 Remember when you were a kid and he let you win at board games? Now that you’re all grown up, he probably won’t throw the game for you, but we bet you’ll both still have fun. 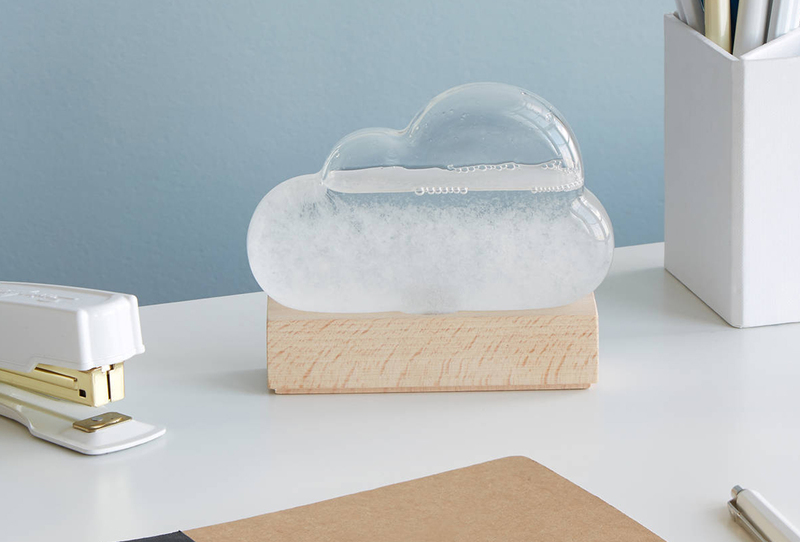 Now you can tease him about how he’ll never let anyone touch his dial and give him a thoughtful gift.